If you need an EASY kid-friendly recipe for Father’s Day our golf ball rice krispies couldn’t be more clever! Father’s Day is coming up and I know my husband would love nothing more than to spend a day golfing! I totally don’t see what’s so exciting about golfing but he could certainly pass the time away playing all year long! So for special occasions I like to treat him to a special round of golf like when Father’s Day rolls around! Goodness knows he sure deserves it for working so hard and putting up with the rest of us crazies!! 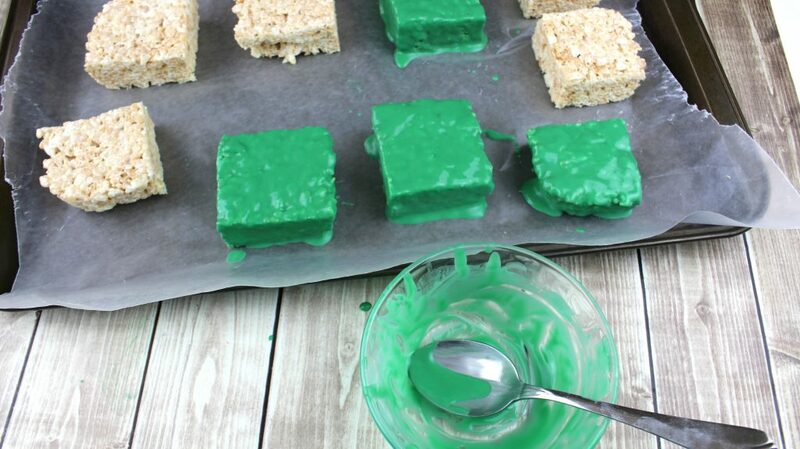 These delicious golf ball rice krispy treats are just the perfect recipe for my kids to help make for him! 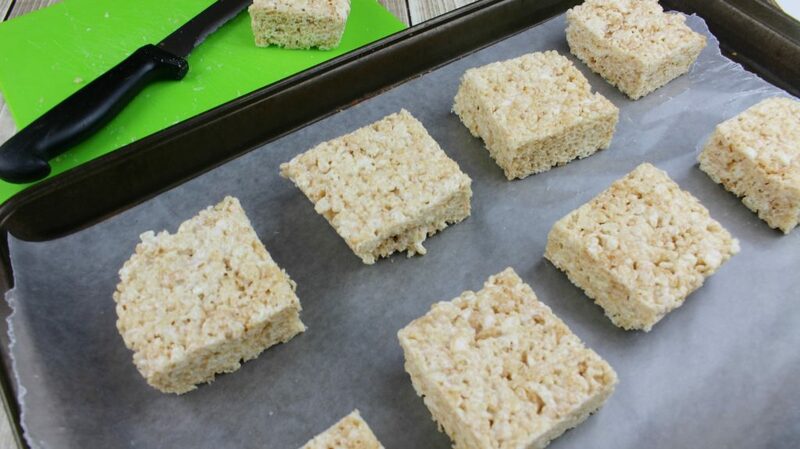 This recipe will yield 1 dozen Rice Krispies golf ball bars from a 9×9 pan. 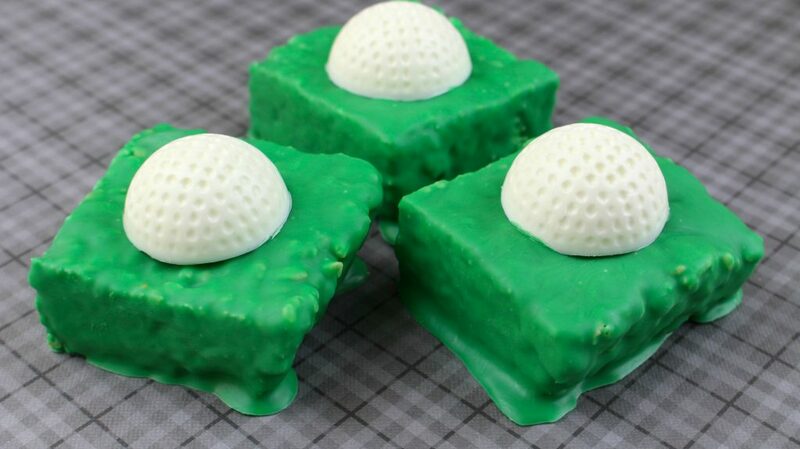 You will need this 3D Golf Ball Chocolate Mold. 1. Spray a 9×9 pan with a non stick coating spray and set aside. 3. Add the marshmallows, stirring constantly until melted. 4. Remove from heat and stir in the cereal and salt (optional) until well-coated. 5. Transfer the cereal mixture to the prepared pan and press down firmly. 6. Cool for at least 30 minutes. 7. 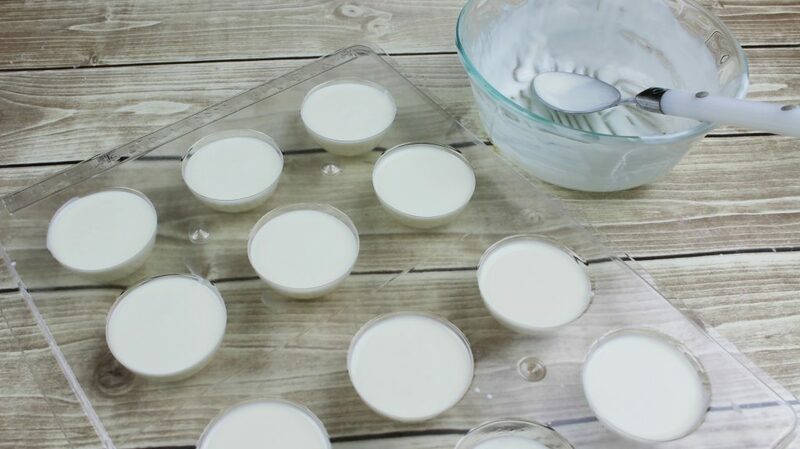 In a double boiler, melt the white chocolate melts. Let cool for 1 minute. 8. 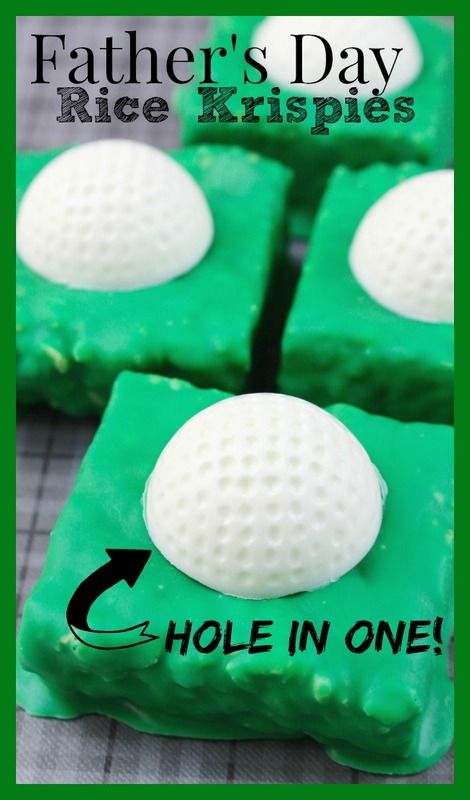 Pour the melted white chocolate into the golf ball molds and refrigerate for 30 minutes. 9. Line a cookie sheet with wax paper and set aside. 10. In a small microwave safe bowl, add the dark green chocolate melts. 11. Microwave for 45 seconds and stir until melted. 12. Once the golf ball molds have hardened, dip 6 of the Rice Krispies bars into the melted dark green chocolate to coat evenly. Place the chocolate coated bars on the cookie sheet and immediately place a white chocolate golf ball on top of each bar. Let the bars “set” for 30 minutes to allow the chocolate to harden. 13. 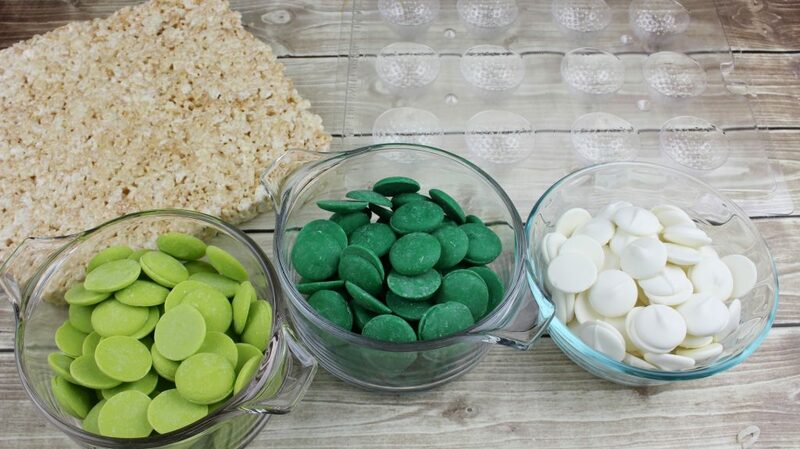 Repeat steps 10-12 using the lime green chocolate melts. How are you showing your husband or dad how much you appreciate them this year? Share your ideas with us!